Yesterday, Euro reached the group of lower fibo levels at 1.3700 – 1.3695 and Take Profit on my buy order worked. Considering that price rebounded from this target area, pair may start new correction. Closest target for bulls is at local level of 23.6% (1.3760). 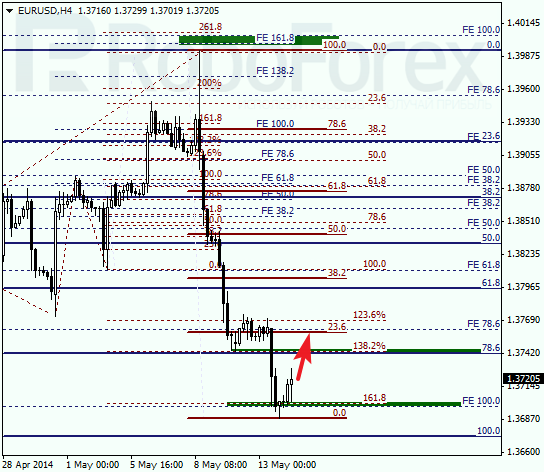 As we can see at H1 chart, pair reached its lower targets right inside temporary fibo-zone. According to analysis of the next temporary fibo-zone, level of 23.6% may be reached during the next 24 hours. 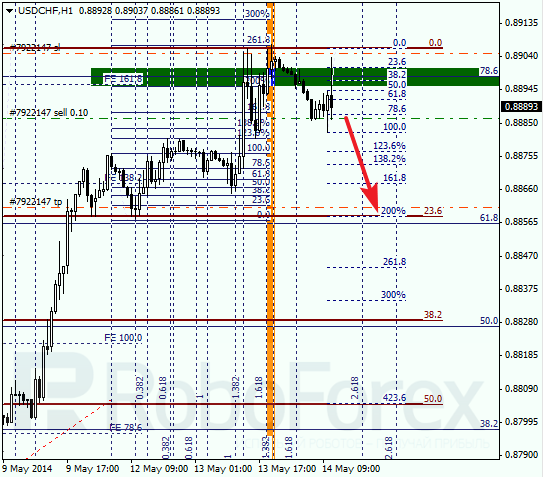 Yesterday, Franc also reached the group of upper fibo levels at 0.8900 – 0.8895. Take Profit on my buy order worked and I have already opened sell order, because right now price is rebounding from this target area and may start new correction quite soon. 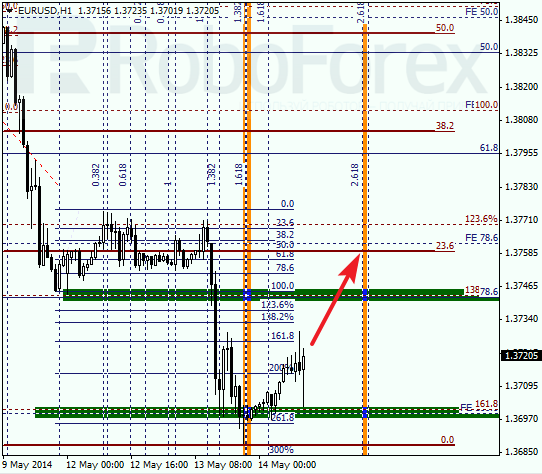 As we can see at H1 chart, pair reached its upper targets right inside temporary fibo-zone. Closest target for bears is at level of 23.6%: if later price breaks it, market will continue falling down.